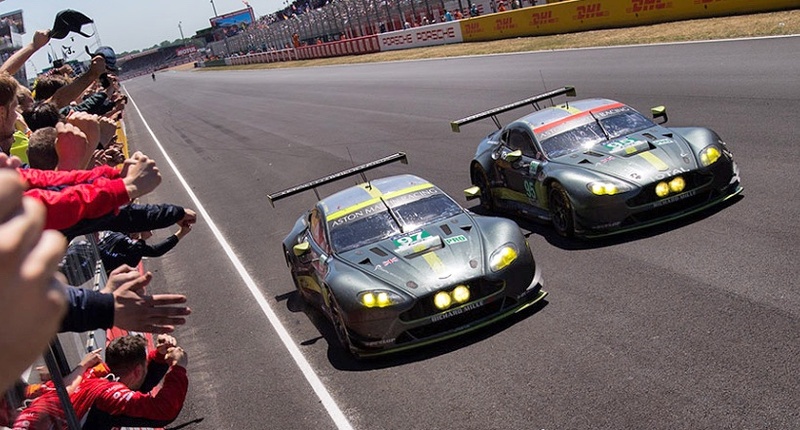 In the GTE Pro class Aston Martin Racing took victory when Jonny Adam (GB) snatched the lead on the final lap of the race. Partnered by Darren Turner (GB) and Daniel Serra (BR), the trio had driven a faultless race. In the final laps their main competitor was the #63 Corvette and at the final fuel stop for both cars with less than 45 minutes to go, the Corvette exited the pits just in front of the Aston Martin. After trading places in that final stint the Corvette ran wide at the second Mulsanne corner on the final lap, allowing Adam to close right up. Then the Chevrolet snagged a slow puncture, allowing Adam to cross the line and take the chequered flag.